To help encourage customers to sign-up with them, many leading bookmakers offer Grand National free bets before the big race, this year run on Saturday, April 6th. This is a great way for new players to get involved in Grand National betting each year at a fraction of the cost. Billed as the biggest betting race on the planet, the Aintree Grand National, which is run each year in April, attracts millions of pounds of bets. Seasoned horse racing fans, as well as ‘once-a-year’ punters, flock to the high street bookmakers or open new online betting accounts to get involved Grand National betting. The 2019 Grand National will be no different and with more bookmakers than ever before there are numerous Grand National free bets to take advantage of. The 2018 & 2019 Grand National winner – Tiger Roll – went off as the favourite for the 2019 Grand National and became the first horse since Red Rum in 1974 to win the world’s greatest steeplechase in back-to-back years. This Gordon Elliott-trained 9-year-old went off as one of the shortest-priced Grand National favourites in recent times, and was sure to carry the bulk of the 2019 Grand National bets. 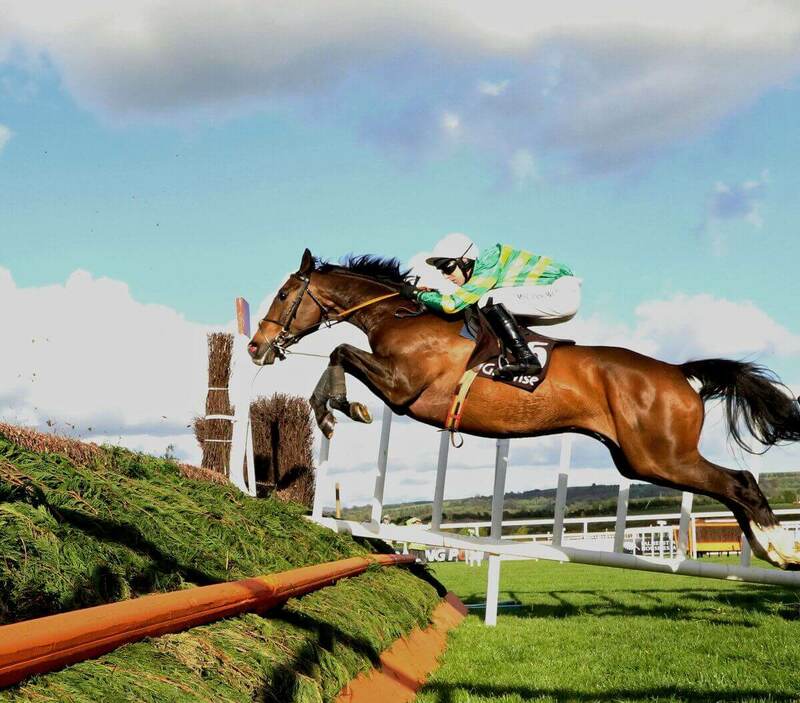 Plenty of the leading bookmakers like – William Hill, Coral, Ladbrokes, Betfair, Betfred, bet365 and Paddy Power will have many 2019 Grand National betting offers for customers to make full use of. New customers are generally rewarded with a free bet to encourage them to join. Be sure to check the terms and conditions on each offer as each bookmaker will have slightly different Grand National betting offers. TOP TIP: With a lot of ‘once-a-year- punters just coming out to place bets on the 2019 Grand National then some bookmakers might remove their free bet sign-up offers in the days before the race. This is to stop people that only bet on the Grand National signing up and using the free bet, but never placing bets with that firm again. If, however, you are a bit more of a recreational bettor that only likes to bet on the Grand National, then the top tip is to make sure you sign-up to your preferred bookmaker a week or so in advance. This way you will still get in before the bookmaker might take down their free bet – leaving you the chance to cash in on any Grand National free bets. Simply, sign-up and adhere to their terms to get your free bet then either place a Grand National bet in advance (ante-post) using your free bet or if your Grand National free bet doesn’t have an expiry date use it on the day. Image by Racing Post on Twitter 2/12/17. As well as Grand National free bets a lot of bookmakers will also offer enhanced odds on the Grand National – meaning if you shop around you may well be able to get 10/1 on a horse that most of the other firms are offering 8/1 on. These offers are generally available to new and existing customers. Flash odds, from the likes of William Hill and happy hour promotions, are often where you will find these enhanced offers on Grand National odds, mainly in the days leading up to the day and a lot more on the actual day of the Grand National. With the Grand National being a handicap race with 16 or more runners then the each-way place terms are for the first four places. However, a lot of bookmakers will offer enhanced place terms to, again, encourage you to bet with them. Many will increase the place terms to five places, with some going six and seven, while it’s not unheard of to the odd bookmaker to payout on the top 9 or even 10 places if they are feeling particularly generous. Do note though, that even though they might be offering extra place terms be sure to check the prices as some bookmakers will lower their odds in order to counteract the extra places they are paying out on. Another popular Grand National free bet offer to give customers back their money should their horse fall or unseat in the race. With 40 horses and 30 tricky fences to jump there are often a lot of runners that fall, get brought down or unseat their jockey, meaning this is a great offer to look out for. Note, it will only be up to a set amount though. There are many Grand National trends and stats that have built up over the years so these are always worth noting in the build-up to the 2019 Grand National. By using these key trends, we are looking for the best profiles of horses that have won the Grand National in the past. After all if a certain age or weight of the horse has a better record than others it surely must be something to take into account – right? Some big Grand National tips to look out for are that we’ve not seen a back-to-back winner of the race since 1974, so the 2018 winner – Tiger Roll – will have this trend to overcome. We also don’t see many 7 year-olds winning the race – the last one was back in 1940, but year-after-year punters will still back horses of this age. Other Grand National tips to look for are that 27 of the last 28 winners ran no more than 55 days ago, while 25 of the last 28 Grand National winners have won no more than six times over fences. It could also be significant that 10 of the last 11 GRAND National winners were making their debuts in the race, so having run previously in the race isn’t always positive. 1. Grand National Tips: Where can they be found? There are plenty of Grand National tips and trends to take into the race. Find the best winning profile by applying our key Grand National trends to the race. Sign-up to the free bet offers days or weeks before the race as many will take these offers down. Shop around for the best prices and if betting each-way always look for enhanced place terms. Last year’s favourite was brought down at the first fence. Since then he’s not set the world alight with three below-par runs. However, last time at Haydock he showed signs of a return to form with a fair 5th of 13 and would be dangerous to ignore with proven form over the tricky National fences. Check out our Grand National Betting Offers page for the latest free bets, enhanced odds and other horse racing offers from the top UK bookmakers. For pre-race previews, check out our Grand National News section. From the Willie Mullins yard that won this race in 2005 with Hedgehunter. This 11-year-old is a proven stayer, having won over 4 miles at the Cheltenham Festival and heads here in great form after a decent Grade Three win at Fairyhouse. Here you can find a list of Grand National 2019 runners and riders. Find the best ante-post odds with the top UK bookmakers at our Grand National Ante-post Outlook page.